kidslooklikekats: Principle Of Essentiality: My Interview with Laetitia Sadier. 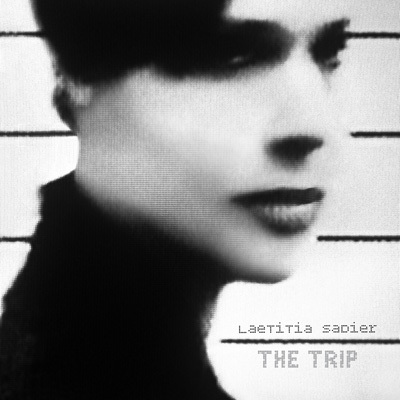 Principle Of Essentiality: My Interview with Laetitia Sadier. I had the recent pleasure of chatting with famed Stereolab and Monade leader Laetitia Sadier about her new solo record, The Trip - a troubled personal outpouring of emotion into song, and a successful release of the pains of losing a loved one. Laetitia has been the lead singer and multi-instrumentalist of London's Stereolab for roughly twenty years, as well as leader of dream pop quartet Monade. Both groups showcase strong influences by krautrock bands such as Neu! and Can, as well as Chanson and Brazilian music, and Stereolab is often sited as a seminal group to the post-rock sub-genre. Our interview begins with only momentary Skype video delays; after our initial hellos, we dive into the technical aspects of the recording. "I didn't have any specifically conscious, direct influences that I could name right now, but I did have a principle in mind, which was one of essentiality; I wanted it to be as bare and as minimal as possible," she recounts regarding the influence of other artists/music on The Trip, "...very much like a Joni Mitchell record." Despite this overall aim, this principle of essentiality and goal for minimalism, Laetitia finds herself reverting back to her familiar "template": the Stereolab and Monade formula. "I realized that I have this very, very strongly ingrained template of how to do things and how they should sound like, because that's what I've done all my musical life." Reverting further to the template, much like the concerted efforts of many in producing Stereolab's and Monade's releases, Laetitia relies on the technical and musical assistance of a couple good friends and a well-known producer in order to flesh out and breathe life into her music. "I don't like having to engineer myself as well as play; I like being with people, you know, and doing this with a team. I went to my boyfriend's house in Oxford with two of my friends from France - Julien Gasc and Emmanuel Mario - and Emmanuel has a computer and an audio interface... and he is quite good with gear... So yeah, we just spent two weeks developing five or six tracks, among which "Summertime" was done quite quickly and "By the Sea" which was done even more quickly. "The other team that I had was Richard Swift... and he supported Stereolab on our last tour, for the last third of the tour. He was also great to work with, and also responsible for that first track, you know, "[One Million Year] Trip", that sounds kind of metronomic and a bit Krautrocky. If I played it to you on the guitar, you will not say "Oh, this is krautrock", you know." Her team did not collectively write the songs, however; "They were fully written in terms of chords, lyrics... and then sometimes you're going to add a middle eight, you know, you're going to slightly arrange the songs as they are played, with your accomplices. I would say they were fully written but they were kind of bare bone and they needed keyboards, embellishments... and although I was trying to keep it down to a minimum, to even avoid it, it was still unavoidable..."
As was the looming darkness and despair at the center of Laetitia's candy-coated melodies; "This is an album about grief. I lost someone precious. I lost a family member, a dear family member; a young family member, and I didn't know what to do with this, you know, this is crazy. So the album's dedicated to my little sister; she committed suicide a couple of years ago. It's shocking; it's a shock. It's difficult to process when it's such a big shock, and I know that art can be a very good way to sublimate all these emotions, to channel them through something and make an object, make a representation of it, you know. So really, the album is dedicated to her, and was made with her in mind. It was hard to make it, because you have to face your pain and pour it into the songs." Laetitia assures that a significant portion of the pain has stayed with the record, making The Trip a personal success as well as a commercial success. Visit dragcity.com to order a copy of the record on LP/CD or to download the MP3 (also available on iTunes). Thank you to Laetitia for chatting with me about the album, Brazilian music and Lynch's Inland Empire (among other fun things).